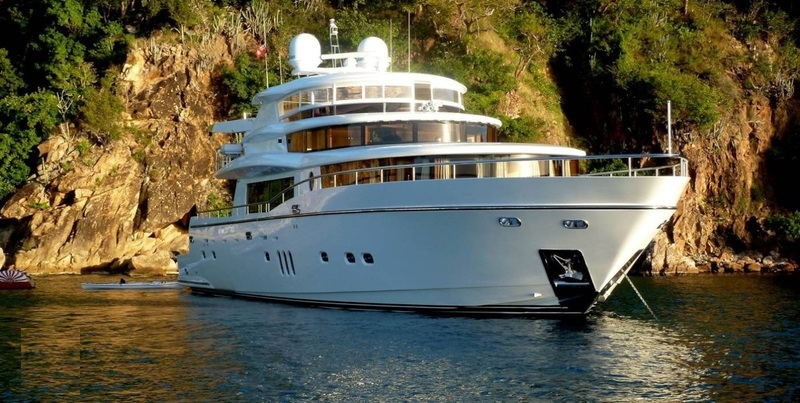 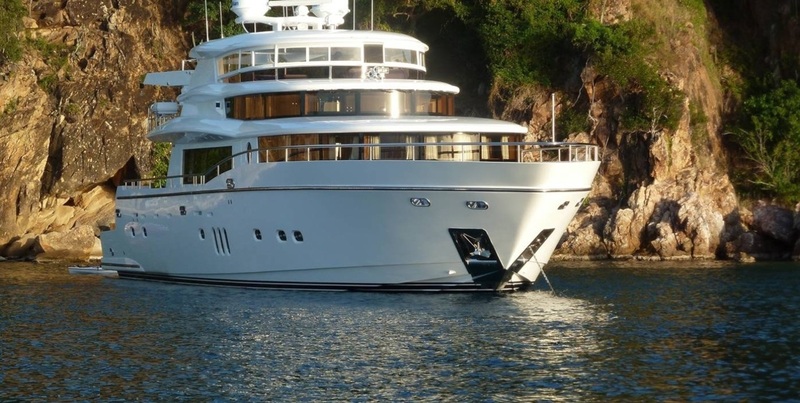 GO was built in 2011 by Johnson and measures 28.9 meters (95ft) and is able to accommodate up to 7 guests in 3 deluxe cabins. 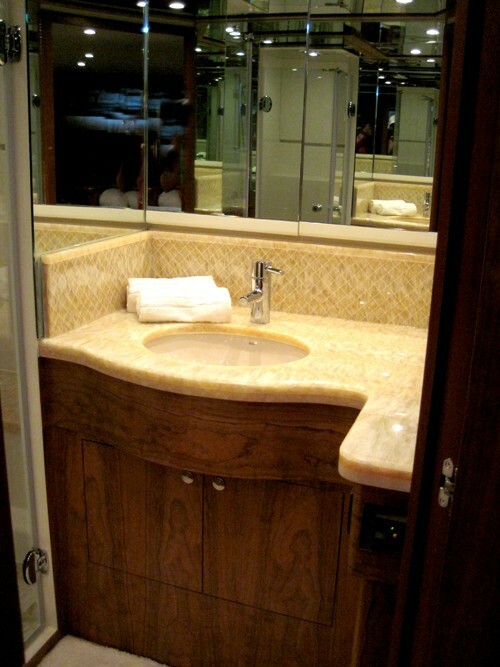 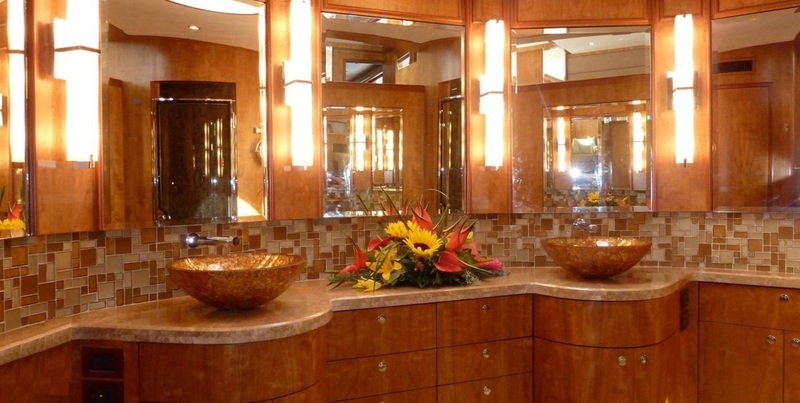 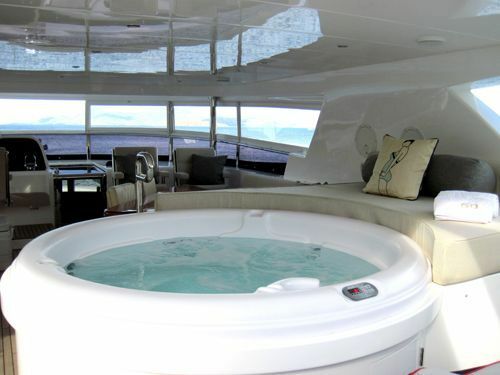 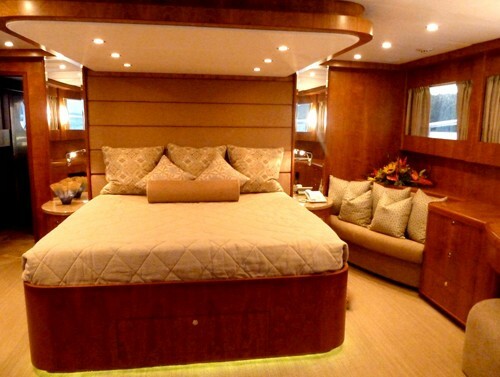 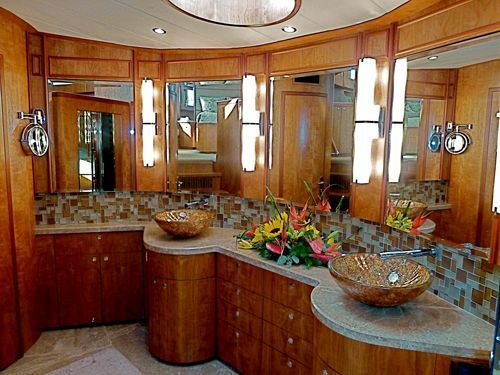 Charter Yacht GO has an elegant and comfortable interior with stylish décor; the salon and dining are an open plan. 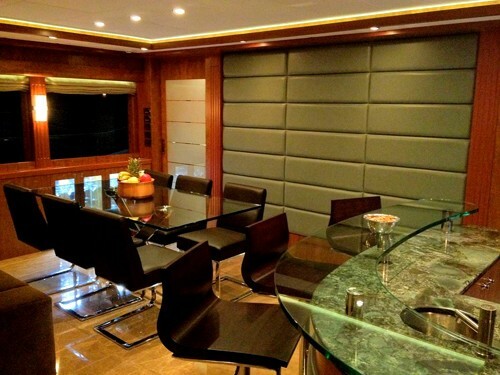 The salon features a large plush sofa with glass coffee / cocktail table, light wood floors and large panoramic windows; forward, the formal dining space offers an elegant glass table with dark leather chairs, on the starboard side is a classy marble and glass cocktail bar with seating. 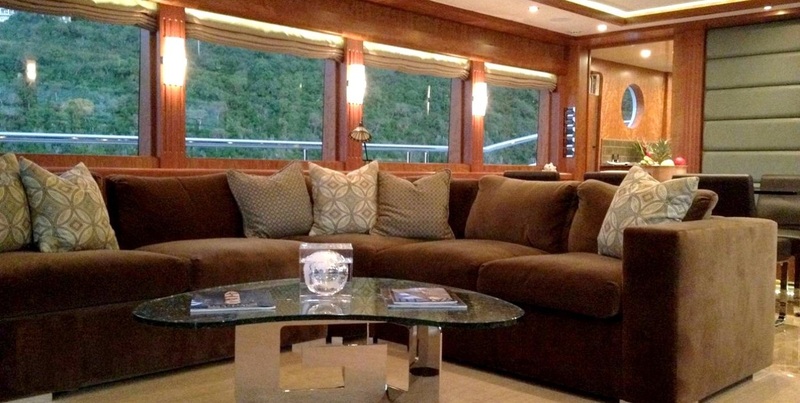 M/Y GO has ample exterior living; the aft deck is shaded and offers a gorgeous varnished table, full length seating and outdoor upholstered lounge seats with ottomans, the ideal place to relax with a book. 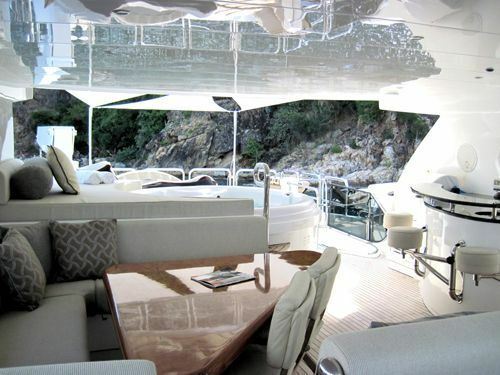 Above, the fly bridge is the perfect place to entertain, with a cocktail bar, alfresco dining option, sunpads and chaise lounges with optional Bimini. 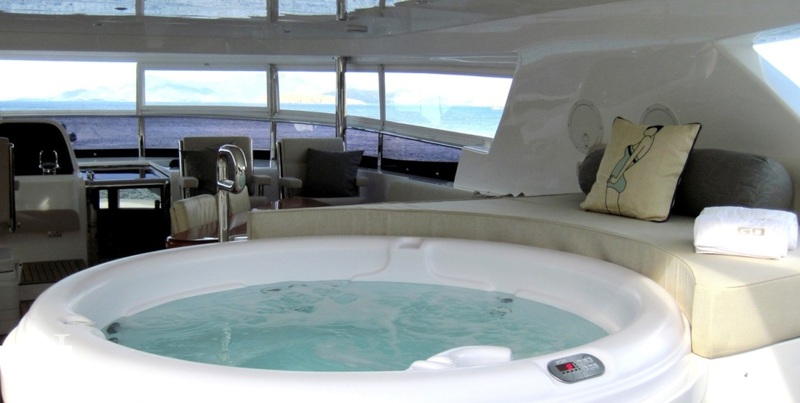 There are also 360° views from the Spa Pool. 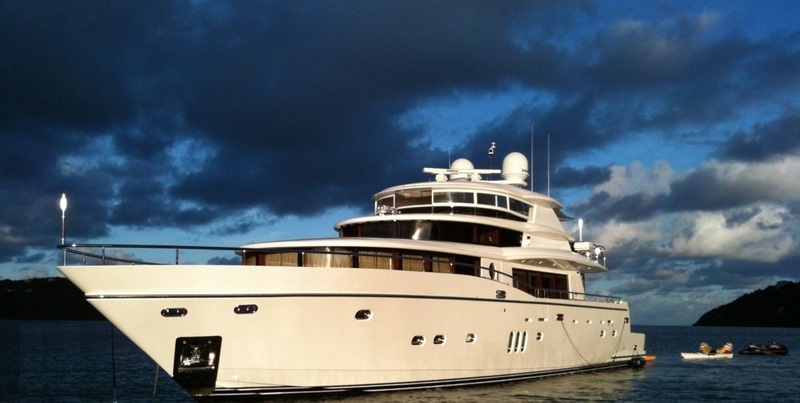 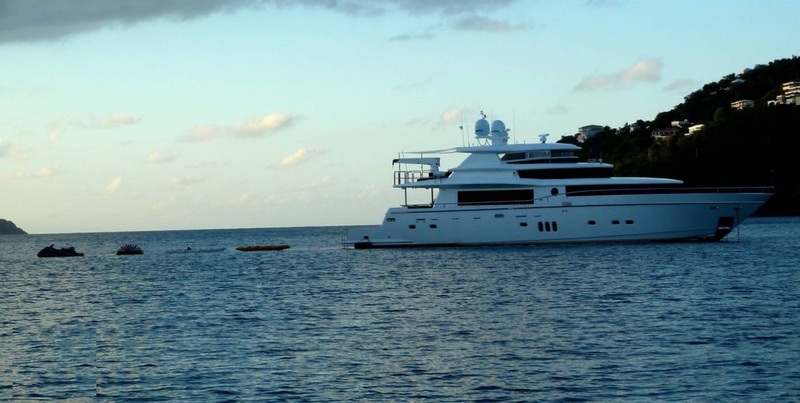 The yacht has zero-speed stabilization which means that she is sturdy even when at anchor. 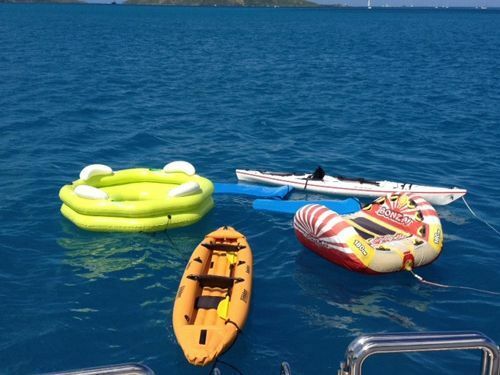 There are enough toys so that every guest can be on the water at the same time using the Waverunner, kayaks, or wakeboard or towable tubes pulled behind a 45 MPH Nautica. 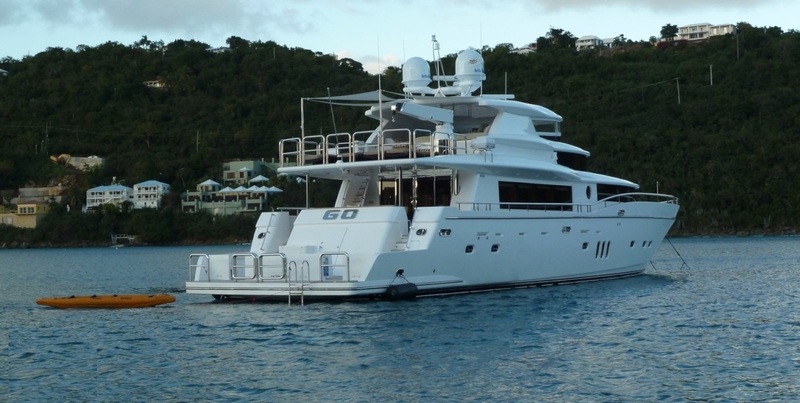 GO has a beam of 7.01 meters (23ft) and a draft of 2.10 meters (6.9ft) and cruises at speeds of 10 knots with maximum speeds of 23 knots. 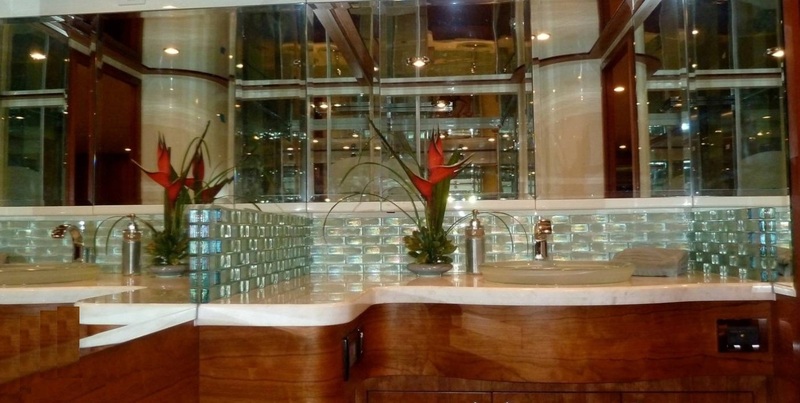 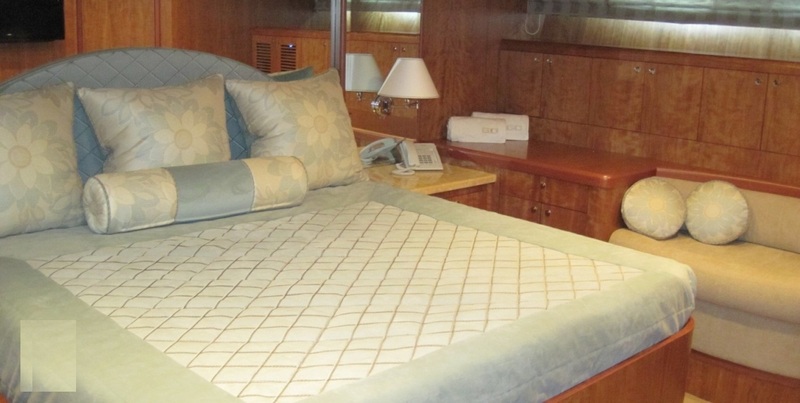 GO offers guests superior cabins, all 3 staterooms feature king size beds, sofas, TV, and are en-suite with unique and stylish mosaic style tiles. 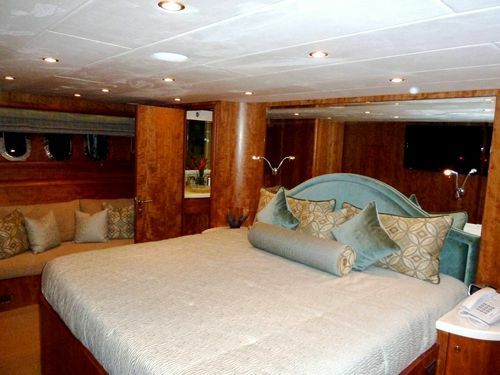 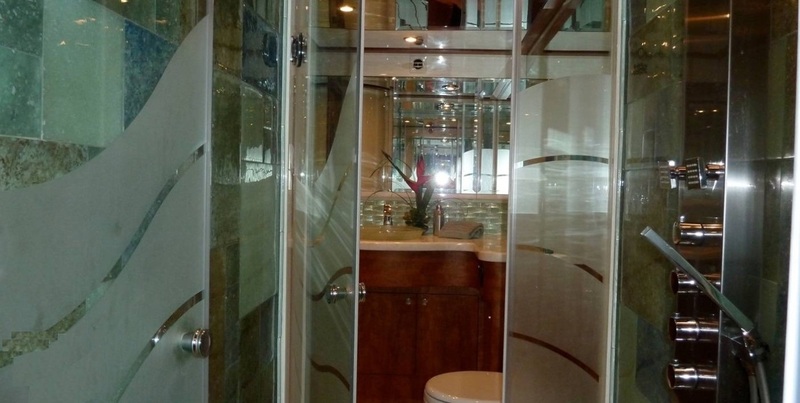 The master suite is on the main deck and boasts wrap around windows, below decks the VIP cabin is considered the 2nd master and features his and hers toilets and a Pullman berth for a 7th guest. 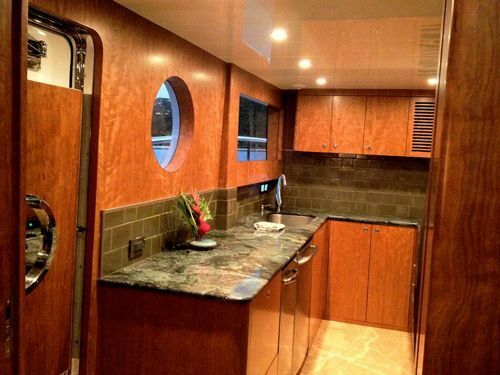 A further guests cabin is adjacent. 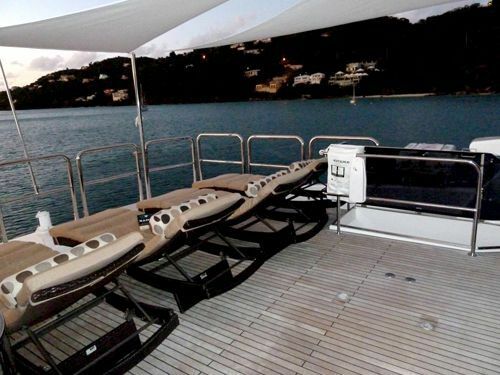 Motor Yacht GO has a good selection of water toys; all guests can be on the water at the same time enjoying a 19' T-Top Nautica - 150 Yamaha outboard Yamaha, VX Cruiser Wave runner, 2 kayaks, Inflatable water toys, Bonzai fast tow tube, Wakeboard, Snorkel gear, Fishing equipment. 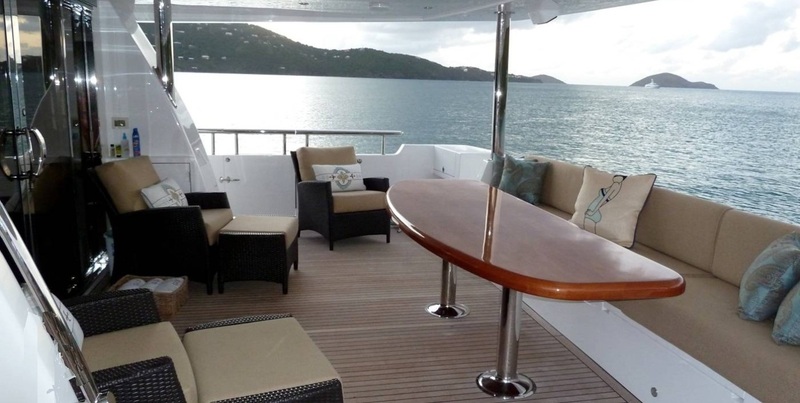 GO offers rendezvous diving.